Can I take pictures or video in the SLC? Respect other users of the space. Minimize disruption to the students around you. Undertake to leave the SLC clean. Abide by Ryerson codes of conduct and the SLC principles. Assume responsibility for costs associated with damage to the premises which occur as a result of the filming. Advise SLC staff of any problems which arise during the film shoot. 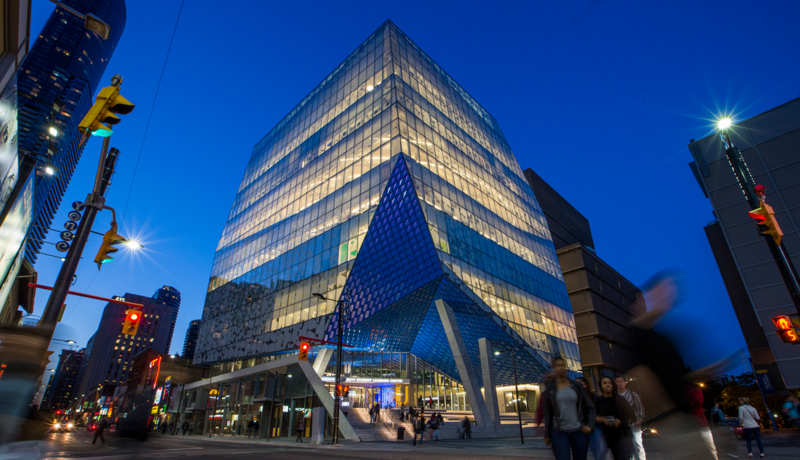 Individuals or media organizations external to the Ryerson community of students, faculty and staff should contact Johanna VanderMaas, Manager, Public Affairs at johanna.vandermaas@ryerson.ca prior to shooting any film or photographs in the SLC. 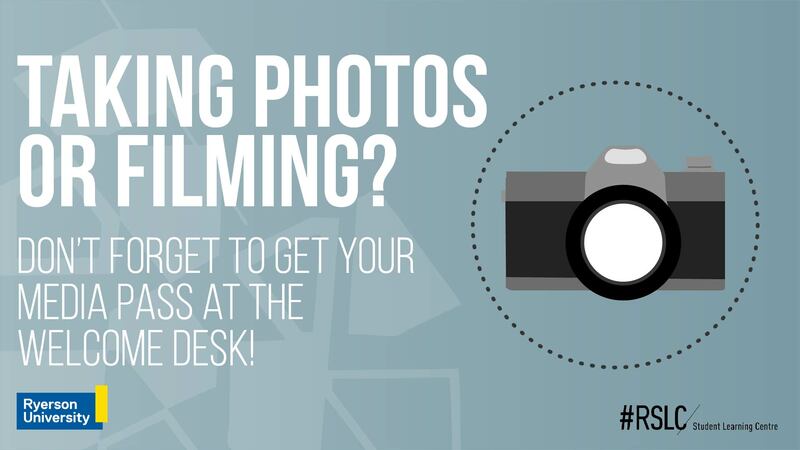 Note that external commercial shoots are not permitted in the Student Learning Centre. Commercial shoots are identified as any filming, still photography and/or video production that is making or intended to make profit. The SLC’s priority is to provide space for our students. We aim to minimize disruption to student use. What is the first thing I should do when I come to the SLC to film or take photos? Check in at the SLC Welcome Desk, just inside the Gould Street doors. Trade your Ryerson OneCard for a Media Pass. Wear this pass in a visible place while on your shoot or be prepared to show it if asked by SLC staff. At the end of your shoot, bring the Media Pass back to the Welcome Desk and your OneCard will be returned to you. Is there anywhere that I am not allowed to film or photograph? Filming & photography are not permitted on Floor 7. It is designated for quiet study only. Any filming on the Floor 4 should be first cleared with Student Learning Support. No filming is permitted from one week before the start of an exam period until the end of the exam period. Please be respectful of other students and endeavour to minimize disruption.